This is an event that you should attend, virtually. 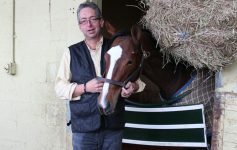 ReRun is a wonderful organization–loving people who do wonderful things for horses. 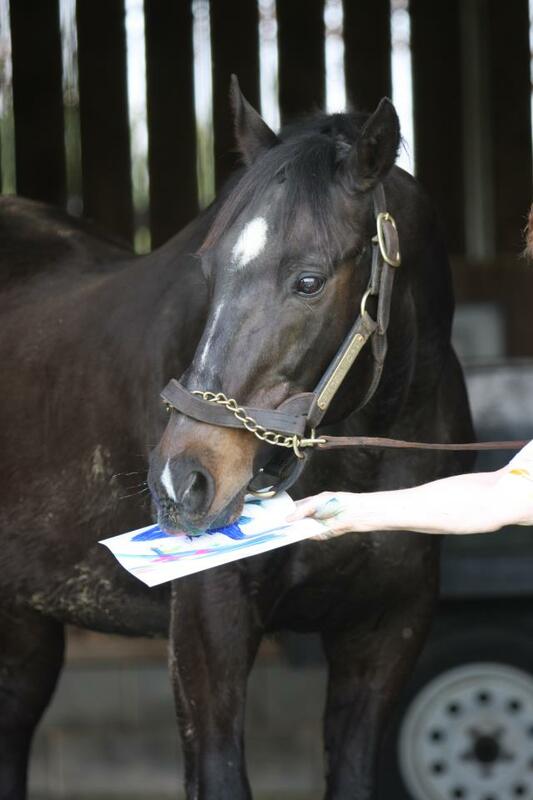 Somehow they teach Thoroughbreds how to paint–YES, to paint–and thereby, become master artists. The paintings are sold–in this case, via eBay–and proceeds to go help ReRun’s programs galloping along. Here’s what you do: go to either eBay, following the instructions, or directly to www.ReRun.org and buy something. Heck, throw buckets of cash at them. And if you can’t buy something right now, think about it for the future. And perhaps you have a talent or two, that you can offer to ReRun to help their cause. Whatever you do, read the information, below, and think about how much you loved seeing the glorious, swift Champions on the list during their racing careers. Now, go to ReRun.org and thank your favorite Champion for all the joy you experienced. The tracks go in one direction, only, but horse racing is a two-way street. auction of Moneighs® from May 26 to June 2, 2013 on ebay®. over 1000 paintings since 2001. The late, great Storm Cat contributes to the cause. God rest Storm Cat’s soul. Previous Article Mad Men in the 21st Century? 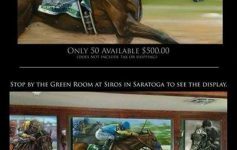 Horse Racing Advertisers Forget Their Largest Audience.